Laser engraving on a wooden box for Colonial ginger ale. Wood engraving has always been around. 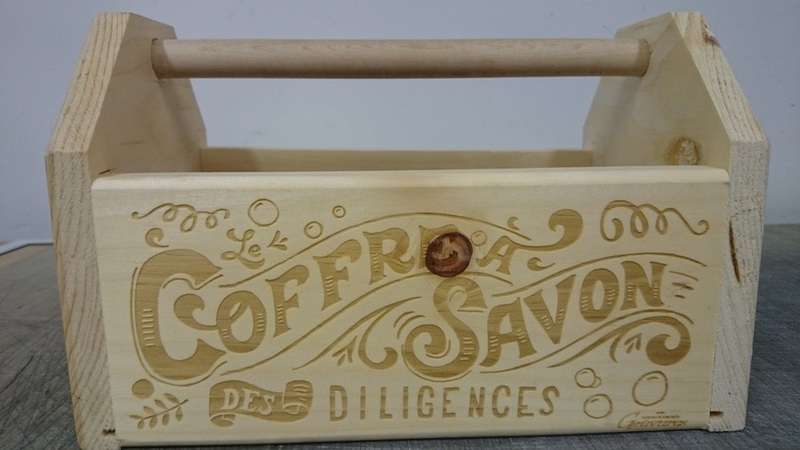 While it is traditionally handmade, laser engraving is now the best way to achieve these tasks. On top of the production speed, of the biggest advantages of laser engraving is the precision with which it matches the desired output. This is even more interesting when mass production comes into play, because every unit receives an identical engraving. One of the other advantages is the look it provides. 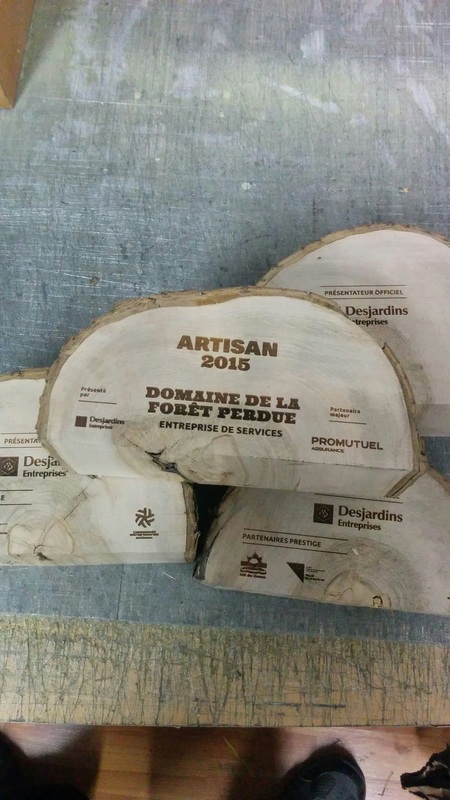 Since the laser burns the wood while engraving, it not only adds depth, but also a two tone effect. In turn, dyes and varnish are no longer needed to add color to the wood. 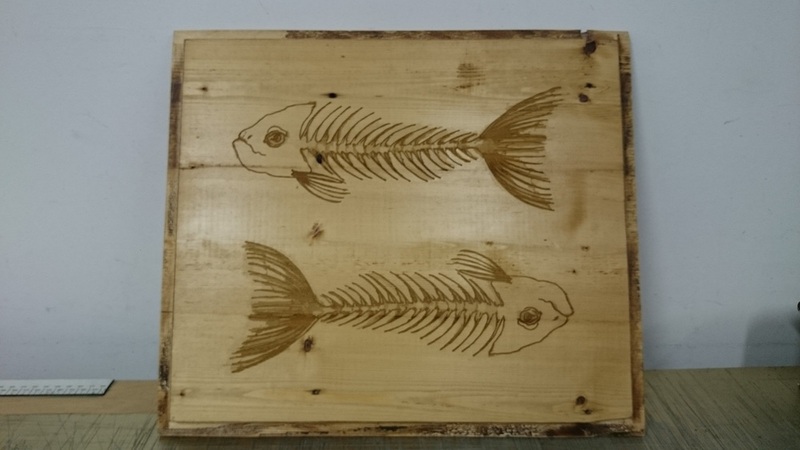 Overall, there are very few limitions to what can be achieved with wood engraving. 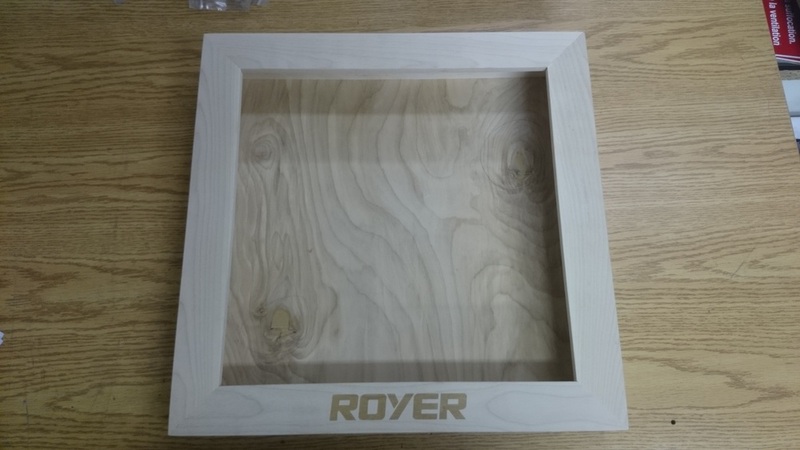 Whether it is a box, an honorific plaque or adding the signature of your buisness on a piece of wood to sign your creations, we can do it for you! 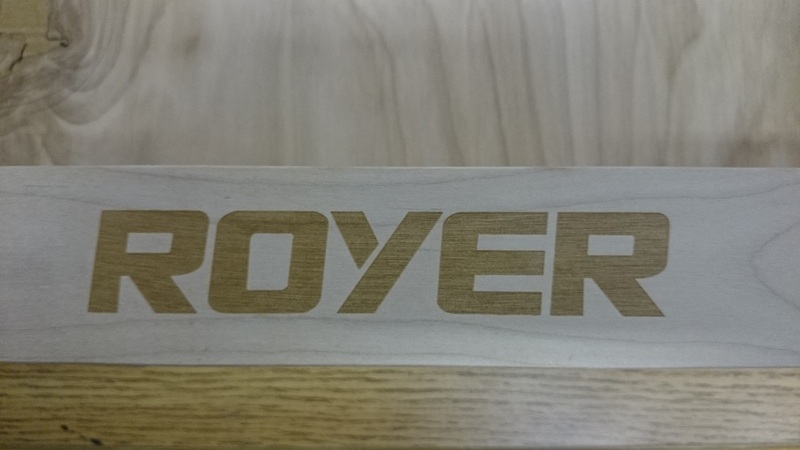 Carved wood plank that had a logo laser engraved on it.